It is an unfortunate fact that many defective products, such as some types of tires, have the potential to cause significant injuries that result in serious harm and even death. Injured or deceased victims who suffered at the expense of defective tires should have the opportunity to have their voices heard, seeking to hold tire manufacturers liable for making and selling tires proven to be defective. When there’s a chance that defective tires may have played a role in an accident that resulted in injuries to you or a loved one, it is important to act quickly to investigate the matter and determine if defective tires caused or contributed to cause the accident that resulted in injuries or death. At Giddens Law Firm, P.A., our legal team provides a wide array of legal services to injured victims across Jackson as well as throughout the entire state of Mississippi. Given that most Mississippi residents drive every day, it is not uncommon for automobile accidents to occur, some of which may involve defective tires. Our law practice provides guidance and representation to clients who may have been injured as a result of tread separation, tire failure, and generally defective tires. Tire Failure Lawsuits have been filed on numerous occasions over the past couple of decades, yet tire manufacturers still are making and selling tires that later turn out to be dangerous and defective. Many tires have been recalled as well, demonstrating that some tires, arguably the most important components on a vehicle, are simply not as safe as they should be. For example, just last year, Bridgestone/Firestone recalled 6.5 million tires for small trucks and SUVs, an alarming statistic that leaves us all wondering whether or not the tires on our vehicles are truly safe. Additionally, in 2013, Michelin recalled tires manufactured for commercial trucks. This is particularly frightening because commercial trucks comprise of a large portion of Mississippi highway traffic, and if commercial trucks are traveling with unsafe tires, this leaves not only the truck driver at risk, but also other motorists and passengers who are trying to get from point A to point B. While it seems as though a great number of defective tires relate to small and large trucks, passenger vehicle tires can be equally defective, often due to tire tread separation, a defect that should be preventable if tires are properly manufactured. Law firms all across the United States are continually seeking to protect their clients’ rights by filing lawsuits against large tire manufacturers for their conduct in designing, manufacturing, and selling defective tires, whether the defect be related to tread separation, tire blowouts, or otherwise. Such big name companies include, but are not limited to, Goodyear, Michelin, Bridgestone/Firestone, General Tire, Cooper Tire, and Continental Tire. A recent verdict against Goodyear sheds light on the dangers of tread separation, as the plaintiff in a Michigan trial suffered such severe injuries that he was left completely paralyzed. In this particular trial, the jury found that Goodyear was liable for $16 million, as the defective tires it manufactured caused the plaintiff’s catastrophic injuries. Yet in a recent case, a woman was awarded $9.87 million due to being seriously injured by Continental Tire brand tires that blew out while she was driving on the highway, causing her vehicle to rollover. The extent of the young woman’s injuries and damages were so extreme that she will likely suffer for the rest of her life. While we always hope that tires will become safer as time goes by, these recent recalls and verdicts tell us that defective tires will continue to cause injury and harm to innocent individuals and their loved ones. 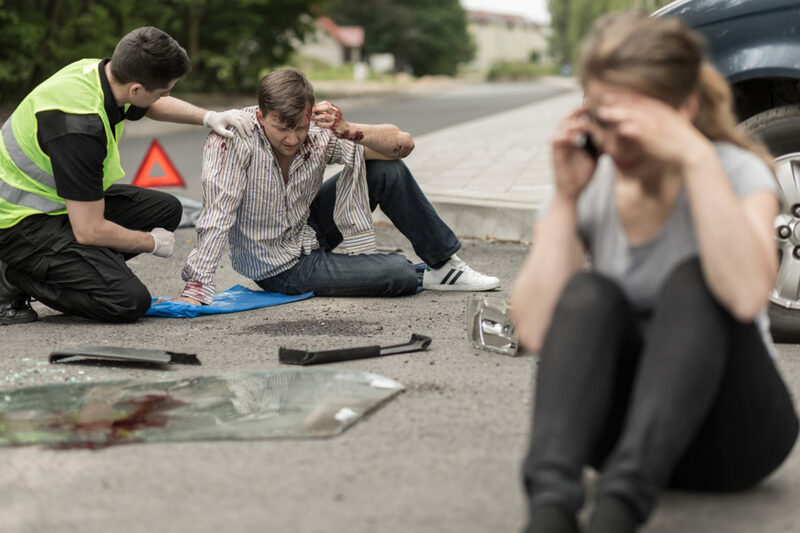 Tire failure cases can be a little trickier than your ordinary automobile accident case in that the need to preserve the tires is absolutely critical. It isn’t always clear right away that a defective tire may have caused or contributed to cause an automobile accident. As such, it is always important to preserve the tires so that they may be examined if a lawsuit is eventually filed. It is the tire that will tell the story, and in order to provide clients with the best legal representation possible, obtaining the tires as early as possible helps attorneys and experts determine if there is a link between the defective tire and the injuries suffered as a result of an accident. If you or someone you know has been involved in an automobile accident that may be the result of tread separation, tire blowouts, or other tire failures and defects, it is important that you contact a Tire Defect Attorney right away to discuss your legal options. There are time limitations on how long you have to file a claim on behalf of yourself and/or a loved one, so it is critical for you to act immediately to preserve your rights. Additionally, when dealing with a potential tire defect lawsuit, it is even more important to act quickly to ensure all evidence, including the allegedly defective tire(s) are preserved. The Tire Defect Attorneys of Giddens Law Firm, P.A. provide excellent legal representation to injured victims from Jackson as well as the entire state of Mississippi. If you believe your or a loved one’s injuries are the result of defective tires, please contact our office today by calling (601) 355-2022, or toll-free at (888) 335-2022, to schedule your free consultation. At Giddens Law Firm, P.A., our team only gets paid for legal services if you recover a monetary award for the injuries you or a loved one has suffered.